Winter Solstice was over for quite a while. 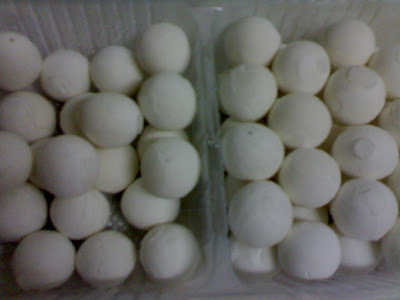 However, I'm still looking for tang yuan as I didn't manage to have them on that day itself. 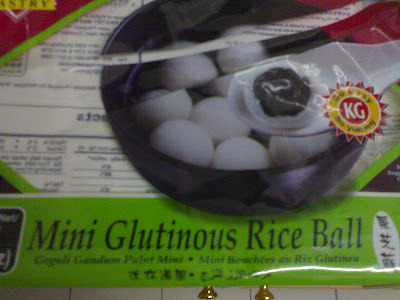 Instant Mini Glutinous Rice Ball could be bought from Tesco. I chose the one with black sesame paste as its filling. Next time, I'll try those with red bean paste as its filling. One of the instructions indicated, "Do not defrost. 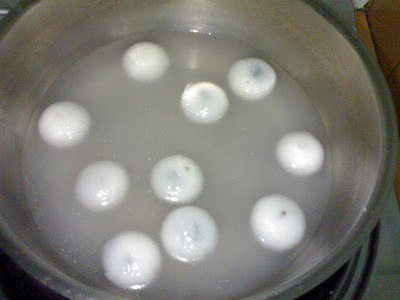 Put into boiling water." So, after they were cooked in boiling water for about 8 minutes, here's how they will look like - larger, very soft, almost mushy.